Nathan Cleverly will defend his WBO light-heavyweight title against Robin Krasniqi after the WBO FINALLY sanctioned the bout. 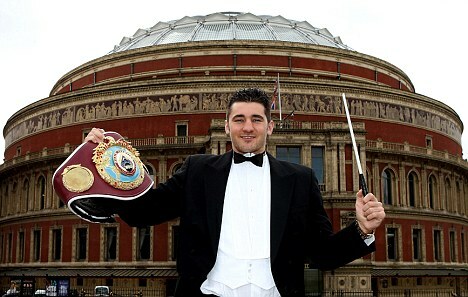 The fight will take place on April 28 at the famous Royal Albert Hall. The WBO initially decided against sanctioning the fight, stating that Cleverly must fight his mandatory challenger instead. But Frank Warren has managed to persuade the WBO to allow this fight to happen, with WBO adding the stipulation that the winner must fight the mandatory challenger within 120 days. Well it’s not exactly a fight to get excited about is it boxing fans? Robin Krasniqi is ranked 4th by the WBO. Now some would ask “well what’s the problem then, he’s ranked 4th”. Yes that’s fine but they have Chad Dawson, who I believe would wipe the floor with Cleverly, ranked 7th and the WBC and IBO don’t even have him ranked inside their top 40. Says it all about Cleverly’s level of opposition. Yet Cleverly, and promoter Frank Warren, will have you believe that Krasniqi will be a “hard test” and that he’ll “bring out the best” in Nathan. I hope boxing fans don’t fall for this. I can fully understand fighters taking an easy defence here and there but when you’re 25 and only had 25 fights, with none of them being particularly tough (except perhaps Bellew), you don’t deserve to have an “easy” fight/defence. A Carl Froch would be perfectly within his rights to take an “easy” fight due to the run he’s had, but what’s he doing; fighting Lucian Bute. 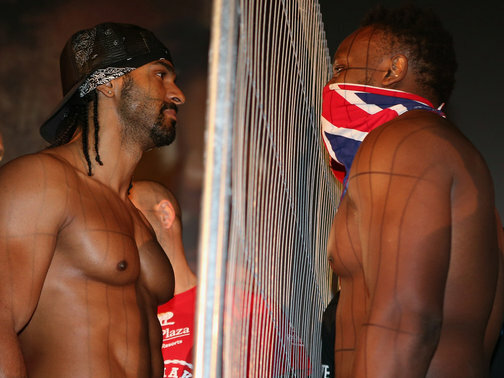 Warren seems to be pushing for a Cleverly-Hopkins fight (even if he doesn’t come through his rematch with Dawson) next. It’s a cracking fight for Cleverly to have but one he hasn’t earned and is a fight, I believe, he’ll lose. It’s nothing more than a pay-day for Cleverly. Get this fight with Krasniqi over with, fight your mandatory and then fight some real competition. The likes of Cloud, Pascal, Shumenov and Campillo are the sort of fights Cleverly should be having, especially if he’s as good as he, and Frank Warren, say he is. With all that said, I believe Cleverly will win. Most likely via a points decision as he doesn’t seem to have developed any real power in this division. He does have a fantastic work-rate and that should see him through against Krasniqi but he’ll need more than that to beat the top names at 175.